‘Almshouses in early modern England: charitable housing in the mixed economy of welfare 1550-1725’ is published by Boydell and Brewer. SAVE 25% when you order direct from the publisher – offer ends on the 7th May 2019. See below for details. Almshouses were ‘curious institutions’, ‘built by the rich to be lived in by the poor’ (p. 1). In the first monograph to focus exclusively on the role of early modern almshouses in welfare provision, Angela Nicholls traces not only the development of almshouse foundations and the motivations of their founders, but also crucially the lived experience and material benefits of an alms place as a respectable or ancient pauper in early modern English parishes. Until recently a ‘known unknown’ (p. 3) in early modern welfare history, charitable housing of any kind was of course far more than simply the provision of a roof and walls, it was also a guarantee of place, of belonging and of social meaning within the context of parish and community. Nicholls examines the almshouse from many angles; first set within an overview of early modern housing policy, and subsequently in chapters dedicated to donors and founders, to residents and their experiences, and finally to a detailed case study of the parish of Leamington Hastings. Nicholls argues that early modern almshouses were distinct from their medieval predecessors and eighteenth-century descendants for a number of reasons, not least their prominent and sustained place in the mixed economy of parish welfare between monastic dissolution and Knatchbull’s Workhouse Test Act of 1723. The study focuses broadly on evidence from three dispersed counties; Durham, Warwickshire, and Kent, and importantly uses a generous definition of what constitutes an ‘almshouse’ in the first place, thus excavating many more humble institutions than previous historiography accounts for. Chapter one on housing policy opens with a strong statement about the quintessential purpose of Tudor and Stuart poor relief, and particularly of welfare legislation: the prevention of vagrancy and of idleness. Nicholls’ reading of the roles housing provision played within the poor laws chimes generally with the historiographical consensus, though she makes some important new suggestions. For instance, the 1547 act actually enjoined parishes to provide ‘cotages’ to vagrants once they had been forcibly returned to their places of origin (p. 22), and Nicholls makes a strong case that the language of ‘Abiding Places’ in the ’47 and indeed 1572 laws might well refer to the English equivalent of hôpital général places for former vagrants and not strictly to their commitment to houses of correction. The effective result of these sorts of injunctions was the accumulation of a robust stock of pauper housing in parishes across the kingdom, housing which remained reserved to the poor well into the eighteenth century, until attitudes towards personal subsistence and idleness hardened still further. Chapter two charts the surge in almshouse provision and endowment across the period and visualizes this provision brilliantly across several figures and maps (Figure 2.2, p. 45, graphing almshouse foundations by decade is particularly revealing). Nicholls concludes here that endowing an almshouse was often a response to generalised, national anxieties or prompts rather than just to local concerns, in effect demonstrating another way that the ‘integration’ thesis of Keith Wrightson was borne out by the bequests of local propertied elites. The second set of chapters focus on founders and inhabitants. 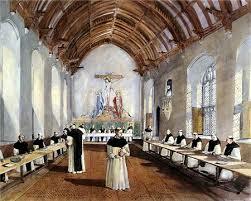 Nicholls unpacks the manifold motivations of almshouse founders such as Rev. Nicholas Chamberlaine with dexterity, going well beyond the traditional ‘purchase of prayer’ model (p. 62). She disagrees with W.K. Jordan’s account of a secular shift in the rationales behind charitable giving, and outlines a suite of additional motives which prominently included local memorialisation and social status and the buttressing of confessional Protestant identities. I found it interesting that Nicholls actually explores ‘order and good governance’ (pp. 86-88) of the parish in subsequent chapters as a desired outcome of endowment, and broadly from the historical perspective of almshouse inhabitants, rather than in the same chapter as other founder motivations. In the section on inhabitants and the material benefits of alms places Nicholls questions how ‘fastidious’ early modern almshouse foundations actually were with respect to inhabitants (p. 90). Some criteria such as geographical proximity were consistent across most almshouses; others such as old age, gender, infirmity, or fraternal or confessional membership were endowment specific. Nicholls also notes that the historiographical interest in ‘rules of behaviour’ for almshouses is out of proportion with the actual number of houses (very few) which actually had rules at all (p. 126). She also debunks the contention that the material benefits of an alms place created a ‘pauper elite’ (p. 184) and demonstrates wide variation across hundreds of endowed places. The final chapter brings together the rich records of county Warwickshire to produce a parish history of a ‘seventeenth-century Welfare Republic’ in Leamington Hastings (p. 188). Nicholls traces the origins of the Hastings house to Humphrey Davis and his will of 1607, which subsequently falls into ‘legal limbo’ (p. 195) until revival under Thomas Trevor as lord of Hasting manor estate in the 1630s. Nicholls situates the almshouse within the private charitable economy of Leamington Hastings which also included the ‘Poors Plot’ charity subsidising access to land and schemes for parish stock and further cottage housing (p. 221). Nicholls concludes that we cannot view almshouses—however privately endowed and idiosyncratically managed—as hermetically sealed off from state welfare provision as it was, after all, often the same people managing both. Almshouses in early modern England is a definitive monograph, cogently assembled and clearly written, with the histories of alms-people and charity at its heart. It is also filled with evidence of the care and nuance with which Nicholls approaches her subject, visible not least in the author’s photography, detailed online appendices and databases, and encyclopaedic knowledge of the associated archives. If you want to learn about the history of early modern charitable housing, you should read this book. Note: this post appeared as a book review article in the Review. We have obtained the necessary permissions. book edited by Paolo Di Martino, Andrew Popp and Peter Scott. ‘People, Places and Business Cultures: Essays in Honour of Francesca Carnevali’ is published by Boydell and Brewer. SAVE 25% when you order direct from the publisher – offer ends on the 2nd April 2019. See below for details. Festschriften are usually produced at or around retirement, and to celebrate long academic careers. This collection, tragically, marks the end of a foreshortened career, that of Francesca Carnevali, who died in 2013 at the age of 48. The chapters of the book have all been written by historian colleagues and friends of Francesca. The authors come from a diverse set of academic backgrounds, including the prominent medievalist Chris Wickham and the social and cultural historian Matthew Hilton. But most of the contributors come, as did Francesca, from the broadly-defined subject of business history. Francesca’s own work provided a broad and variegated set of concerns and approaches that enables the contributors to link her work to their own diverse areas of expertise. Thus, for example, Leslie Hannah (who supervised Francesca’s PhD, and co-authored an article on banking with her), provides a new approach to the old question of the comparative performance of British banking before 1914. He stresses the paradox (at least for those who think competition is always the key to efficiency), that by any standards Britain at that time had a highly competitive banking system, yet suffered a growth ‘climacteric’. More broadly, Hannah, like Francesca herself, adheres to a broadly declinist view of British economic history, whilst clearly identifying the unsatisfactory nature of many declinist stories. Francesca’s own work on banking contrasted Italy and Britain, and the financing of Italian small business is the concern of Alberto Rinaldi and Anna Spadavecchia’s chapter. The conclusion of this analysis emphasizes the embeddedness of financial institutions in legal, social and political conditions as well as economic circumstances, a conclusion that links to Francesca’s broadening concerns after her early work on banking. Key to this broadening was an examination of social capital and trust, as key, if problematic, concepts for understanding business behaviour. This behaviour is examined in a variety of contexts in this book, ranging from Andrew Popp’s study of Liverpool cotton brokers and their ‘public staging of business life’ to Lucy Newton’s study(jointly authored with Francesca) of making and selling pianos in Victorian and Edwardian England. This concern with consumer goods is linked by Peter Scott and James Walker to an innovative study of how mass consumption and mass marketing, to some degree at least, blurred class demarcations on interwar Britain. These empirical studies are complemented by more conceptually focussed chapter, by Chris Wickham on the genealogy of ‘micro-history’, by Kenneth Lipartito on the concept of social capital and its limits, and by Andrea Colli on the problems of doing comparative European history. Last, but very far from least, there is a characteristically wide-ranging and insightful chapter by Mathew Hilton on the problems of writing the economic and social history of twentieth-century Britain in the light of the recent ‘turns’ in how that history is being written. The diversity of this book’s contents is a strength not a weakness. Business historians of almost any bent will find something interesting and important to engage with. The breadth of analytical and empirical concerns, allied with the close attention to important conceptual puzzles, makes this book a fitting reflection of, and tribute to, Francesca’s productive and well-lived life. Note: this review was originally published on-line in Business History, 2019. It is reproduced by kind permission of Lee-Ann Anderson (Permissions and Licensing, Taylor and Francis). An Economic History of Europe by Karl Gunnar Persson and Paul Sharp is a textbook on European economic history, designed to be taught over one semester, and aimed mostly at economics undergraduates. The second edition is a substantial revision of the first from 2010 with updates to reflect changes since the global financial crisis as well as the latest research. Although it is primarily aimed at students, it is also accessible to wider audiences looking for an easy introduction to the story of European economic development. Economic history is first defined as the study of how mankind has used resources to create goods and services to meet human needs over time. As the subtitle suggests, the efficiency with which this is done depends on knowledge, i.e. the ability to produce more efficiently based on education and experience and embodied in technology, and institutions, which can both promote and obstruct the efficient use of resources. Thirteen propositions are laid out in the introductory chapter, the first of which sets the scene, proposing that economies that are richly endowed with resources are not necessarily rich but that economies which use resources efficiently are almost always rich irrespective of their resource endowment. Persson and Sharp then give a definition of Europe, noting (as illustrated in maps 1.1-1.3) that there has been a surprising continuity of the economic region of Europe from Roman times, through the Carolingian Empire of the ninth century, and to the present day European Union. It is argued that this is due to trade. The subsequent chapters argue that the slow record of economic growth which lasted for some centuries after the collapse of the Roman Empire and until the Industrial Revolution was based on a conflict between rival ‘Smithian’ and ‘Malthusian’ forces, as illustrated in figure 4.1. The latter describes the tendency of increases in economic productivity to be eaten away by population growth due to the constraints of an approximately fixed supply of land in a largely agricultural economy. However, as important institutions such as political order, money and markets re-established themselves in medieval Europe, increased population and urbanization led to division of labour, or specialization, promoting a slow growth of welfare based on skill perfection and learning by doing, giving slow technological progress. It was only with the birth of science that the pace of innovation speeded up sufficiently to allow for the demographic transition. Some countries moved to modern economic growth faster than others, however, and much of the reason for this is attributed to differences between institutions. Among copious examples of both ‘good’ and ‘bad’ institutions, it is emphasized that the length of time an institution has been present is not necessarily related to its benefits for economic performance more generally: bad institutions can linger due to the interests of a small, powerful minority. Money and banks get a chapter of their own. Their importance for a well-functioning economy is explored, although the risk involved with the use of fractional reserves (by which banks only have in reserve a fraction of their liabilities in terms of deposits) is also acknowledged, with periodic banking crises, such as during the recent Global Financial Crisis thus somewhat inevitable. A major theme, with considerable relevance given the climate of today, is the importance of openness. This might be in terms of trade or ideas, although the two are often interrelated. It was fast technology transfer with the opening of world economies after 1850 that led to a process of economic convergence between countries which continues until today, although with setbacks during periods of protectionism and ‘globalization backlash’ in the 1930s in particular. The possibility of such catch up relies, however, on having an appropriate educational and institutional infrastructure. Moreover, it is also acknowledged that although trade will bring net gains, there will be winners and losers, and often during bad times, small groups lobby successfully for protectionist policies. The remainder of the book examines such diverse themes as the choice of monetary policy regime (fixed versus flexible exchange rates) from the nineteenth century until today, arguing that widespread democracy seems to be difficult to reconcile with a fixed exchange rate policy because such a policy constrains domestic economic policy options. There is a discussion of the recent troubles within the Eurozone. The emergence and working of the Welfare State and the ultimate failure of the Eastern European planned economies are also touched on in the context of the death of the nineteenth century liberal economy after the Great Depression. It is speculated that world income inequality has probably peaked, and (with the rise of large developing countries such as China and India) will most likely now begin to decline, as more nations get the institutional infrastructure needed for technology transfer. Finally, the challenges of globalization are taken up. Karl Gunnar Persson sadly passed away in 2016, but his former PhD student Paul Sharp is working on a third edition of the textbook. Deindustrialisation has ruptured the lives of tens of millions of working class lives in the latter half of the twentieth century and into the twenty first from the Rustbelt of North America to the coal and steel towns of north eastern China. Between 1969 and 1976, an estimated 22.3m jobs were lost in the US alone, with some 100,000 manufacturing plants closed between 1963 and 1982 (Bluestone and Harrison, 1982: 7; High, 2003: 93). In the 1990s, an estimated 30m workers were left unemployed by the collapse of industry in north eastern China, with the country’s steel province, Hebei, expected to lose 60 per cent of its steel companies by 2020 (Financial Times, 28 March 2016). These job losses represent a significant disruption in the lives of workers and in the fabric of communities from which capital vacates, but they are not the whole story. Industrial work, the social relationships to which it has contributed, and the cultures that emerge alongside are profoundly world-making. Plant closures, and the associated lost jobs, shatter all of these types of connections – not simply the economical. These, arguably more intangible legacies of industrial closures, are often lost in layoff numbers or within a literature that talks about the transformation of economies or Schumpeterian waves of creative destruction. In the globalized world, with corporations shifting production to non-union, low-paying areas of the global South, displaced workers are sometimes framed as greedy or uncompetitive. What right do workers in Canada, the United States, or Western Europe have to these jobs or their spin-offs, especially when they contribute to the development of deeply impoverished areas goes the neoliberal line. In this progressive economic narrative, these casualities are a necessary corollary of growth; as the authors of an International Monetary Fund paper put in 1997 (Rowthorn and Ramaswamy): “Deindustrialization is not a negative phenomenon, but a natural consequence of further growth in advanced economies.” It is commonly supported by reified figures on employment transitions. Besides, industries are polluting and dehumanizing and so have no place in our post-industrial and gentrifying cities. Those areas that have failed to make the transition have frequently been peripherialised, with residents then demonised in the media and subjected to further punitive policy measures. Most recently this anger, after decades of neglect, has been manipulated and misrepresented in debates around the election of Donald Trump to the US presidency and the Brexit vote, with the irony that both movements have been dominated by elite populists. In all of this, complacency to the plight of post-industrial working class communities has been marked. The Deindustrialized World (eds. High, MacKinnon and Perchard, UBC Press, 2017) responds to this historical moment by excavating the profound impact of deindustrialization on the lives of working people but also the wider ramifications of these structural economic, political, and cultural changes. Many will argue that total manufacturing numbers do not bear out the thesis of precipitous decline; but, for all of the increases in productive capacity, the types of jobs that are now available are oftentimes more precarious and require less skill than did those of yesteryear. In the words of one Scottish steelworker coming to terms with his redundancy: ‘How do you tell fifty year old steelworkers to sell tartan scarves to Americans?’ Such arguments also miss the often-profound regional, local, and personal impact of these changes. The book demands that we go beyond national aggregation. In some cases, it has been accompanied by further capital flight and the collapse of civic infrastructure, leaving communities to deal with the legacies of multiple deprivation, ill-health and contaminated air and water, such as in Flint, Michigan. Arising out of the ‘Deindustrialization and Its Aftermath’ conference in Montreal in 2014, this collection – scaling up our analysis from deindustrializing bodies to concerns of political economy – seeks to capture the complex cultural, environmental and social legacy of deindustrialisation (and industrialisation) for communities and individuals in Australia, Canada, France, the UK and US. The fifteen essays demonstrate the different experiences and responses of those affected by industrial closures. Chapters by Jackie Clarke and Sylvie Contrepois (France), Cathy Stanton (US), and Lucy Taksa (Australia) explore questions over the contested memory of industrial identities, places and spaces. While Arthur McIvor (UK), Lachlan MacKinnon and Robert Storey (Canada) consider the environmental and health legacies of such industries. In their urban studies of Australia, Canada and the US, Tracy Neumann, Andrew Hurley and Seamus O’ Hanlon discuss the tensions around regeneration and gentrification with urban studies. While chapters by Steven High (Canada) and Andrew Perchard (Scotland), include discussions around deindustrialisation in association with geographical peripheralization, racial exclusion, and regional policy failures. Andy Clark (Scotland), and Jackie Clarke (France), explore the role of female workers in resisting closures and maintaining an industrial legacy. There is a confluence between many of these issues and discussions across the collection. The editors and Jim Phillips (Scotland) consider these questions within the context of the notion of ‘moral economy’ and the viewing of plants as collective resources. Crucially, in amongst these voices seeking to make sense of what has happened to their lives and communities, are those of children living with the aftermath of deindustrialisation, alongside those of the adults shaped by an industrial culture and now left without it. We are now fully in 2017 – Bradley A. Hansen, Professor of Economics and American Studies at University of Mary Washington, helps us revise what happened and what was published in the discipline. One of the most significant developments in economic history over the last several decades has been the work to improve our estimates of long run economic performance. Responding to challenges presented by Pomeranz’s Great Divergence and obvious weaknesses in Madison’s estimates, a number of economic historians have worked to develop better estimates of economic performance in Europe and Asia over the very long run. Economic historians continue these efforts but also recognize the limitations of what they have done and, possibly, what they can do. Tempting as such a wholehearted rejection might sometimes be, it plainly won’t do. Whatever one’s ultimate judgment about its knowledge claims, economics is the most powerful, influential social science. For good or ill, economic historians are fated to spend our lives grappling with the discipline. In an ideal world, economic historians would be equipped with a profound knowledge of economics, coupled with a profound scepticism about its capacity to help us understand how things work. This book demonstrates that its authors possess both these virtues. They use the Nobel prize in economics, awarded since 1969, as a means of examining the nature and role of economics in a book whose depth and breadth of vision make it a hugely important contribution to our understanding of the ‘market turn’ in economic policy over the last 40 years. The Nobel prize in economics arose from an initiative of the Swedish central bank to raise the prestige of both itself and the discipline of economics, in the context of the bank’s struggle with Sweden’s governing Social Democrats. Like most central banks, the Riksbank prioritised low inflation and limited government; and it was hostile to the stabilising and equalising policies pursued by Sweden’s dominant political party. Offer and Soderberg offer a sustained analysis of the pattern of winners of the prize. Over its whole history, there has been a careful attempt to award the prize to a balance of economists, with the most famous case being the 1974 joint prize awarded to Friedrich Hayek and the Swedish social democratic theorist, Gunnar Myrdal. This balancing act has helped to maintain the high prestige of the prize, while also acting to undermine the ‘scientific’ pretensions of the discipline. Not only have the prize-winners come from a wide range of positions in economics, but several have also been acknowledged for contributions that directly or indirectly contradict the work of other recipients. Much of the most detailed analysis of economics here concentrates on undermining the claims of the ‘market liberals’, a term embracing proponents of the new classical macroeconomics, rational expectations and public choice. The book is scathing about the claims made for these (and other) theories, arguing that they ultimately rest on ethical presuppositions, while showing little capacity to explain empirical changes in the economy. The failure of the awarders of the Nobel prize to be concerned with empirical validity is seen as their biggest failing in how they have made their judgments. As the authors suggest, while Hayek opposed the scientistic pretensions of many economists, his own work, most notably his Road to Serfdom, has been ‘grotesquely falsified’ (p.9). The expansion of the state in post-war Western Europe, far from leading to a slippery slope of ‘serfdom’ has been combined with an enlargement of freedom, however that capacious term is defined. (While Hayek, Milton Friedman and other Nobel prize-winners were keen supporters of the Chilean dictator and murderer Pinochet in the name of ‘economic freedom’). Despite their aversion to the ‘theoretical mumbo jumbo’ (p.212) of some economics and their dismissal of the scientific claims of many of the practitioners of the discipline, the authors by no means share Tawney’s dismissive attitude. Economics they proclaim, in one of the books many bon mots, ‘is not easy to master, but it is easy to believe.’ (p.2). This book is hugely persuasive about economics, where the knowledge displayed is extraordinary and the judgments highly persuasive. On social democracy, it is perhaps not so strong. There is some fascinating discussion of the development of Swedish social democracy and its relationship to key Swedish economists. Most attention is given to Assar Lindbeck, a long-term member of the Nobel prize committee and its chair from 1980 to 1994. His work and role is subject to a blistering attack, coupled with a persuasive defence of the benefits of his country’s version of social democracy, which he renounced and then bitterly attacked. While this stark, one-dimensional, definition is somewhat qualified elsewhere, the persistent assertion of its foundational status raises two problems. First, there is a question about how far such positioning is exclusive to social democracy. Most obviously, perhaps, would not Beveridge-style social insurance fit this definition? The Liberal William Beveridge proclaimed ‘social insurance for all and for every contingency’; with all its mid-twentieth century trappings, surely a clear advocacy of a collective response to security over the lifestyle? Conversely, social democrats outside Sweden have focused less on redistribution of income over the lifecycle and more, for example, on more direct ‘vertical’ redistribution or on collective control of the means of production or on economic planning. They may have been strategically mistaken, but that is surely no reason to deny them the ‘social democrat’ label? Abstract: This paper evaluates the relative importance of a “culture of cooperation,” understood as the implicit reward from cooperating in prisoner’s dilemma and investment types of activities, and “inclusive political institutions,” which enable the citizenry to check the executive authority. I divide Europe into 120 km X 120 km grid cells, and I exploit exogenous variation in both institutions driven by persistent medieval history. To elaborate, I document strong first-stage relationships between present-day norms of trust and respect and the severity of consumption risk-i.e., climate volatility-over the 1000-1600 period and between present-day regional political autonomy and the factors that raised the returns on elite-citizenry investments in the Middle Ages, i.e., the terrain ruggedness and the direct access to the coast. Using this instrumental variables approach, I show that only culture has a first order effect on development, even after controlling for country fixed effects, medieval innovations, the present-day role of medieval geography, and the factors modulating the impact of institutions. Crucially, the excluded instruments have no direct impact on development, and the effect of culture holds within pairs of adjacent grid cells with different medieval climate volatility. An explanation for these results is that culture, but not a more inclusive political process, is necessary to produce public-spirited politicians and push voters to punish political malfeasance. Micro-evidence from Italian Parliament data supports this idea. This paper takes a long-run approach to an investigation of the importance of a ‘culture of cooperation’ and ‘inclusive political institutions’. The author defines a ‘culture of cooperation’ as the behavioural characteristics of ‘trust, respect, control and obedience’, while the term ‘inclusive political institutions’ is defined as institutions which ‘enable the citizenry to check the executive authority’. Analysis is focused on Europe and on the agrarian economy. The author suggests that cooperation in the middle ages was particularly associated with the monastic orders of the Cistercians and Franciscans. Their houses were generally located, the author argues, in areas with unpredictable climates. The ability of the monks to farm the land in a way that put such unproductive land to productive use attracted the support and cooperation of the local community. In addition these monastic orders also introduced new financial practices, including improvements in access to credit, which also fostered local community cooperation. Inclusive political institutions, the author suggests, were especially associated with the success of long-distance trade. This created a shared goal between the elite and citizens. The paper suggests that contemporary cultures of cooperation and inclusive political institutions are influenced by medieval ones. The medieval data used for ‘culture’ is climate data and the modern data is the 2008 European Value Study. For inclusive political institutions the medieval data is ‘the discounted number of years Cistercian and Franciscan houses were active per square km over the 1000-1600 period’ (p. 9) while the modern data is on prosecutions of members of parliament in Italy in 1948-87. 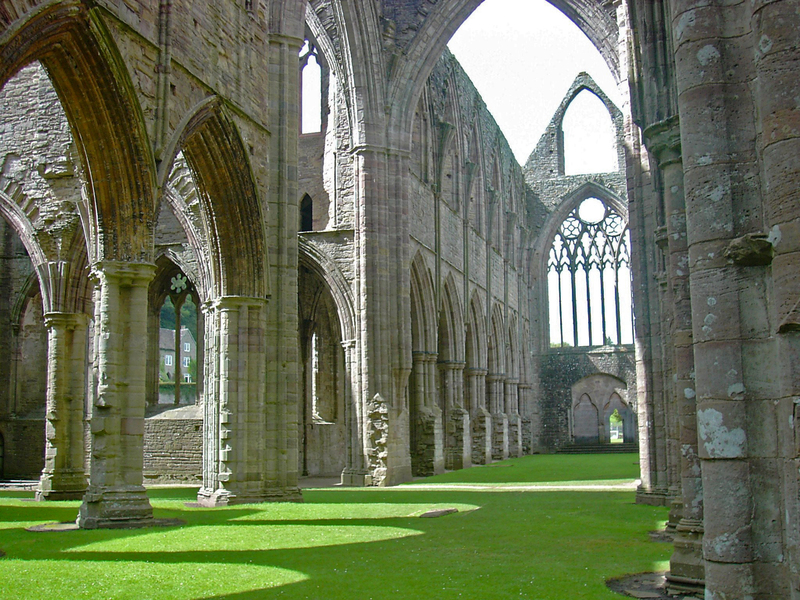 The paper argues that the impact of the medieval culture of cooperation originating in the Cistercian and Franciscan monastic houses can be seen today. It also argues that this culture of cooperation has had a greater influence as a check on executive authority than inclusive political institutions. 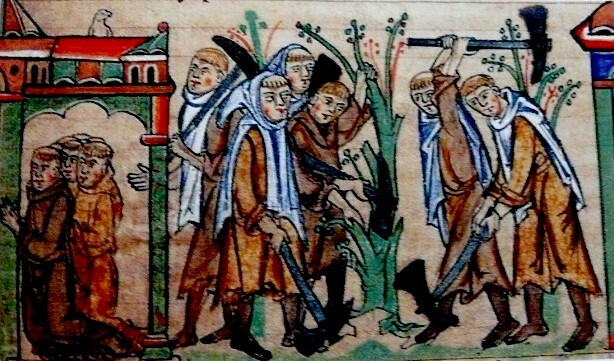 Conflict, rather than cooperation, is often the term most associated with the middle ages. One of the benefits of this paper is that it highlights the presence of, and impact of, collaboration. Monastic orders are recognised in both history and economics literature for their important economic, as well as religious, impact. Their use to assess a culture of cooperation is therefore helpful, but they are perhaps a less obvious choice for an assessment of inclusive political institutions. One potential way in which the paper could be developed would be by expanding the scope to cover both urban and rural locations. Such an extension would retain the presence of monastic orders (and indeed extend it to cover urban ones) and, more significantly, allow urban political institutions to be considered. The presence of these institutions is briefly discussed on p. 12 but the issue is not developed further. Many of these town governments had as a shared goal the long-distance trade alluded to in the paper. They also offer more equivalent data to the contemporary data used as a proxy for inclusive political institutions. Continuity and change over time is a key focus on the paper and the author shows an awareness of some key developments that occurred from the medieval to the modern period. The selection of the controls shows an engagement with recent secondary literature but does introduce additional time periods (such as the Neolithic), specific events (for example the Black Death) and general trends (for example the expansion of education). The paper could be strengthened by more clearly outlining the chronology of these events, and perhaps by narrowing the list of controls used. Connections between contemporary and historic business have been increasingly recognised and explored in academic literature. The subject of this paper is therefore related to a growing trend to examine the medieval origins of many economic processes. Monasteries have been identified as key players in the ‘multinational enterprise’ of medieval pilgrimage and as originations of sophisticated forms of financial transactions (Bell and Dale, 2011; Bell, Brooks and Dryburgh, 2007). They were also important speculators in the property market (Baker and Holt, 2004; Bouchard, 1991; Casson and Casson, 2016). Financial crises are a further topic that can be examined through the surviving qualitative and quantitative sources from the middle ages. In the light of the financial crisis of 2008 there has been a recognition that a long-run perspective, starting as early as the middle ages, provides the opportunity to study cycles of growth and decline. Surviving medieval records from the English government, for example, provide detailed data that can be subjected to statistical analysis, as shown in the work of Bell, Brooks and Moore (Bell, Brooks and Moore, 2014; Bell, Brooks and Moore, 2013). The importance of medieval data has also been highlighted in recent work on historic GDP (Broadberry et al, 2015). Innovation and knowledge acquisition in the middle ages have recently been examined using both modelling approaches from economics, and historical case studies. De la Croix, Doepke and Mokyr (2016) have shown, using their combined expertise in the fields of economics and history, the important foundation that medieval guilds provided in the transmission of knowledge across Europe before the Industrial Revolution. Meanwhile Davids and de Munck’s edited collection on Innovation and Creativity in Late Medieval and Early Modern European Cities has used historical case studies to demonstrate that medieval cities saw a clear connection between the skills of their population and the overall economic performance of their city, and developed strategies that were intended to make their city economically resilient (Davids and De Munck, 2014; Casson, 2012). Overall, one of the key strengths of this paper is the contribution that it makes to this broader research agenda on the parallels between medieval and modern business. Baker, N. and R. Holt (2004), Urban Growth and the Medieval Church: Gloucester and Worcester (Routledge, Aldershot). Bell, A. R., Brooks, C. and Moore, T. K. (2014), ‘The credit relationship between Henry III and merchants of Douai and Ypres, 1247-70’, Economic History Review, 67 (1), 123-145. doi: 10.1111/1468-0289.12013. Bell, A., Brooks, C. and Moore, T. (2013), ‘Medieval foreign exchange: A time series anaylsis’ in M. Casson and N. Hashimzade (eds.) Large Databases in Economic History: Research Methods and Case Studies (Routledge, Abingdon), 97-123. Bell, A. R. and Dale, R. S. (2011), ‘The medieval pilgrimage business’, Enterprise and Society, 12 (3), 601-627. doi: 10.1093/es/khr014. Bell, A. R., C. Brooks, C. and P. R. Dryburgh, P. R. (2007), The English Wool Market, c.1230-1327 (Cambridge University Press, Cambridge). Broadberry, S., B. Campbell, A. Klein, M. Overton and B. van Leeuwen (2015), British Economic Growth, 1270-1870 (Cambridge: Cambridge University Press). Bouchard, C. B. (1991), Holy Entrepreneurs: Cistercians, Knights, and Economic Exchange in Twelfth-century Burgundy (Ithaca, NY). Casson, C. (2012), ‘Reputation and Responsibility in Medieval English Towns: Civic Concerns with the Regulation of Trade’, Urban History 39 (3), 387-408. doi:10.1017/S0963926812000193. Casson, C. and Casson, M. (2016), ‘Location, Location, Location? Analysing Property Rents in Medieval Gloucester’ Economic History Review 69: 2 pp. 575-99 DOI:10.1111/ehr.12117. Casson, M. and Casson C. (2013), The Entrepreneur in History: From Medieval Merchant to Modern Business Leader (Basingstoke: Palgrave Macmillan). Casson, M. and Casson C. eds. (2013), History of Entrepreneurship: Innovation and Risk Taking, 1200-2000 (Cheltenham: Edward Elgar, 2 vols). Davids, K. and B. de Munck, eds. (2014), Innovation and Creativity in Late Medieval and Early Modern European Cities (Ashgate: Farnham). De la Croix, D., M. Doepke and J. Mokyr (2016), ‘Clans, Guilds, and Markets: Apprenticeship Institutions and Growth in the Pre-Industrial Economy’ NBER Working Paper No. 22131, circulated by NEP-HIS on 2016-04-16. Landes, D. S., J. Mokyr & W. J. Baumol (2012), The Invention of Enterprise:Entrepreneurship from Ancient Mesopotamia to Modern Times (Princeton, Princeton University Press).